The School Years provides a challenging and lively collection of essays on key issues affecting young people in the school setting. It is an essential book for all those concerned with adolescence and education. Since the first edition in 1979, major social changes such as unemployment, AIDS, issues of race and gender, and increasing divorce rates have had a direct impact on education and young people. With these dramatice changes in mind, the contributors take an entirely new and up-to-date approach to current controversial issues such as the relationship of home and school, gender roles, morality, delinquency, and peer groups. 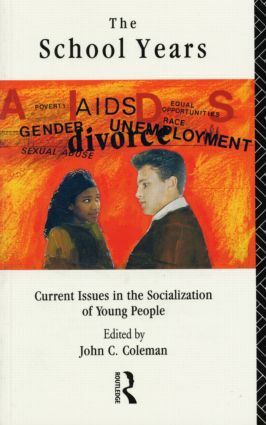 Contributors include: John Coleman, Trust for the Study of Adolescence; T. Honess, School of Psychology, University of Wales; Peter Kutnick, Department of Education, University of Sussex; Sally Archer, Trenton State College, USA; Philida Salmon, Institute of Education, University of London; Maurice Chazan; David P. Farrington, Institute of Criminology, Cambridge.